VACCA is in the process of implementing trauma informed practice across all of its programs. As part of this, VACCA has developed a therapeutic trauma informed practice team, led and managed by the Manager, Aboriginal Children’s Healing Team. Provide trauma informed practice leadership in accordance with program guidelines for the delivery of Therapeutic out of home care and broader VACCA programs as required. Provide leadership in the implementation of the program including assessment procedures, needs identification, risk assessment, therapeutic practice guidelines, clinical case documentation and therapeutic intervention planning. Contribute to the continuing successful identification of service delivery gaps within VACCA’s Out of Home Care Programs. Sound knowledge and understanding of Aboriginal culture and values and the ability to effectively communicate with Aboriginal children and their families and a demonstrated ability to contribute to Aboriginal children’s emotional, physical, psychological and cultural development. Proven ability to work successfully with Aboriginal children with a range of complex and diverse needs and an ability to respond therapeutically to Aboriginal children’s pain-based behaviours indicating an understanding of the impact of trauma and disrupted attachment on children. Developed understanding of the importance of culture and community connection as a means of addressing childhood trauma. An appropriate tertiary qualification in Psychology, Social Work, Family Therapy or a related discipline. Demonstrated ability to provide leadership and direct service in trauma informed assessment and therapeutic practice with children and young people in out of home care and their families. Victorian Aboriginal Child Care Agency (VACCA) operates within the context that Aboriginal children continue to be significantly over-represented in the protection and care system within Victoria. 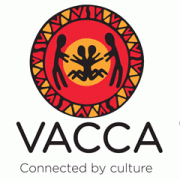 VACCA considers that it has the responsibility and the opportunity to promote, advocate for and achieve positive changes in the lives of Aboriginal children, their families and the broader Aboriginal community. Please quote in application: Senior Therapeutic Practitioner via Pro Bono Australia.